SLS Las Vegas is new. Above all, This is an old facility that is new after a complete overhaul. The renovation took place in the casino three years ago in 2014. The operator uses a whopping $415 million to renovate it. Before the renovation, the hotel is Sahara Resort & Casino. It stands as an emblem of old school Las Vegas. But now it is turning everything into the modern times. The owner, SBE Entertainment, is a label in Los Angeles. Here, the operator is a pioneer and leader is nightlife activities. The business provides clients with numerous nightlife options in Los Angeles, California. It is easy to understand why some people feel that the resort is old school. The fact is that it is also strikingly innovative. You will get many new things in the casino resort. During the renovation, the $415 million goes to improving pretty much everything. It is not about repainting or a retouch per say. It is a complete overhaul. Most external elements in the hotel are nowhere else in Vegas. They are put here by French designer Philippe Starck. But there is a big and important question. 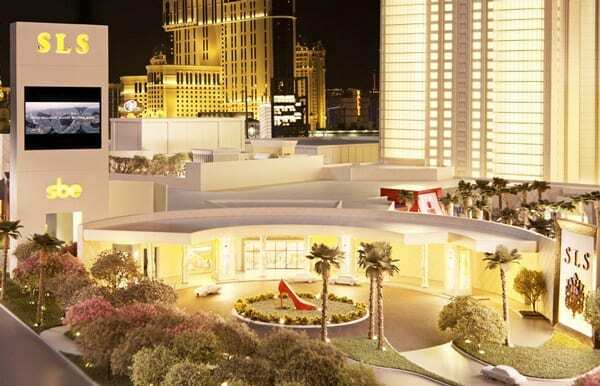 The question is where SLS Las Vegas is? · Physical address: 2535 Las Vegas Boulevard. Las Vegas 89109. · Nevada, USA. · Telephone number: +1 702-761-7000. The French designer leaves behind some quirky reminders. The plastic picture body parts that are on the walls are amazing. The corridor is ‘hellish’ red. It is jarring to some visitors. Indeed, this is certainly a daring painting that is worthy emulation. Sadly, there is no other painting in the whole of Vegas that resembles this. It is worth the memory. Inside the hotel, there are several restuarants and nightclubs. Most of the visitors in the crowd are the hip and young. Their primary interest is the nightlife SLS offers. The location of the hotel is not that strategic. It is hard for a big crowd to flock here. The main reason is that SLS is far at the north of the Strip. Most visitors, who come to Vegas for the first time want one thing, visit the Strip. If anything, they want to be so deep in the Strip. They’d rather find a facility that is right in the middle of the Strip. For returning visitors, it is possible to lodge here. Otherwise, those who want a tranquil life may want to get far away. Besides, walking to other neighboring hotels such as the Metropolitan is not easy. You have to take a cab. It is right to point out that rooms here are small. When you look at other Vegas facilities, you will realize that the rooms at SLS are smaller. But there is something you will love about the small hotel rooms. They are chic and modern. They all come with modern and high-tech amenities. In its entirety, SLS Las Vegas hotel has a total of 1, 613 rooms. All these suites are in three towers. The tower with many suites is the World Tower. It has 1, 121 rooms.